As a Hip Hop Scholar, Ralph E. Godbolt is committed to using the scholarship of academics such as Henry Louis Gates, Cheryl Keyes and James Peterson to frame hip hop within the larger discussion of the black expressive tradition. As an educator, Ralph E. Godbolt is committed to assisting students, whether they attend an institution of higher education or a poor performing urban school district to reach their full potential. As an advocate, Ralph E. Godbolt is committed to addressing issues such as access to a quality education, gun policy and access to quality health care that impacts vulnerable individuals and communities. A Pottstown nonprofit expects to take a major step forward in spring with the opening of a youth center to boost its education program and other initiatives. HIP HOP Inc., an organization that has operated in Pottstown since 2013, is renovating a building at 1314 E. High St. The youth center will include features designed to help reduce the number of local students dropping out of high school. The group, led by Ralph and Shanita Godbolt, offers after-school academic support with help from volunteers from Montgomery County Community College and the community in general. Ralph E. Godbolt Appears on, "Point of View." While visiting the Chester, Pennsylvania Public Library, Ralph E. Godbolt spoke with Amanda Johnson about his award winning book, "Kickin the Ballistics: Reflections on the Hip Hop Generation, Poverty and Power." He also discussed issues of poverty, criminal justice and sociology. Professor Ralph E. Godbolt is scheduled to speak at Bowie State Univeristy in Bowie, Maryland on april 6th, 2018. Godbolt will discuss the history of Hip Hop culture and activitism at the Richardson Humanities Initative Annual Conference. 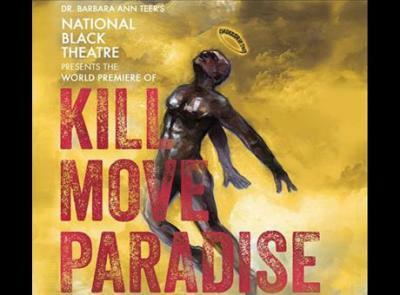 Ralph E. Godbolt Addresses the Issue of Police Brutality in Response to the Play, "Kill Move Paradise". On September 22nd, 2018, Ralph E. Godbolt addressed members of the Philadelphia, Pennsylvania community on the psychological impact of the issue of police brutality. Godbolt’s lecture, which was held in conjunction with the play, “Kill Move Paradise,” delved into the historical impact of unjust policing and challenged those in attendance to fight for social justice and equality.